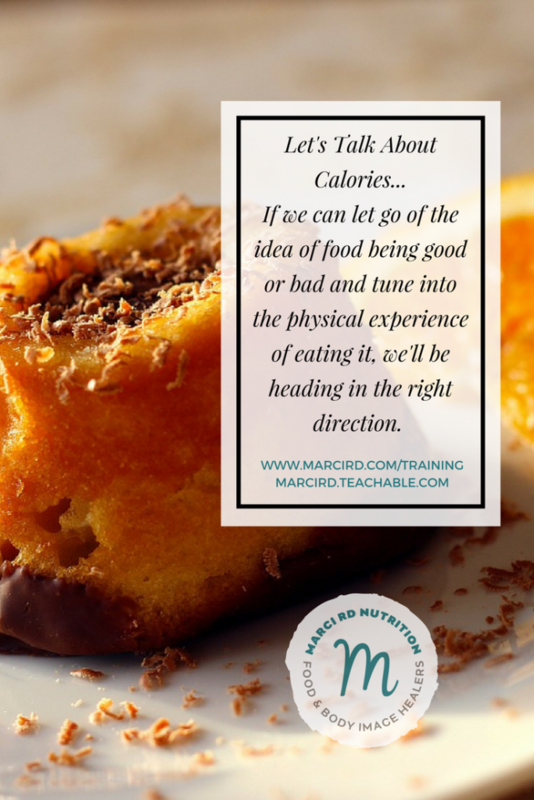 Calories, Calories - Marci R.D. How often have you heard someone say “Oh, that’s only 250 calories, it’s not so bad.” I’ve heard it A LOT and it really gets on my nerves. What if a calorie total wasn’t good or bad? What if we could strip all the morality out of how many calories we consume? Unfortunately, calorie talk is NOT going away any time soon. It’s posted on menus, plastered on magazine covers, and someone you know is probably counting them. But it’s not a total bummer if you can start to practice looking at them more objectively and with less judgment. I’ll show you. 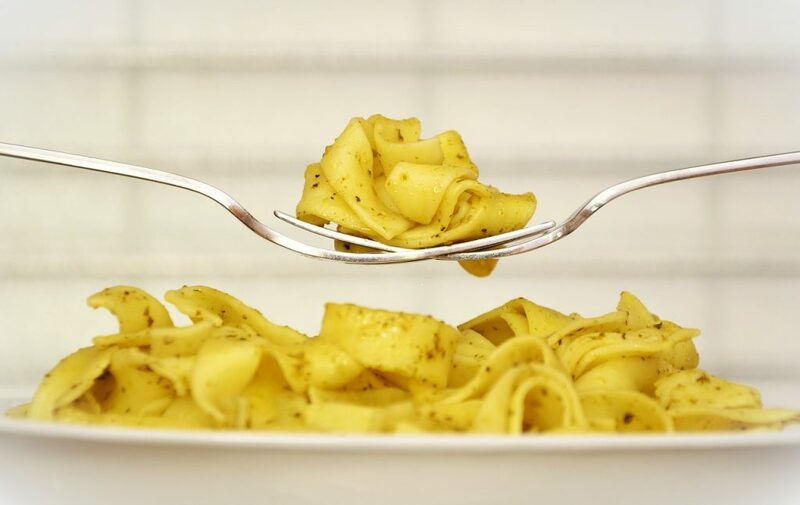 New way of thinking: Wow, I notice that when I eat a 310 calorie Lean Cuisine for lunch I’m not very satisfied, Ifeel hungry again an hour later, and I’m still thinking about food quite a bit. If I want to stay full for longer than an hour, I either need more foodor I should choose something different. Old way of thinking: Oh, I was really “bad” at lunch today. That sandwich had over 600 calories. According to Shapemagazine, I should eat less than 400 calories at lunch. I’m so disgusting. I have no self-control. Why couldn’t I eat just half? New way of thinking: The sandwich tasted delicious. The balance of carbohydrate, fats, and proteins left me feelingsatisfied. I feel a lot fuller than after I eat a Lean Cuisine. Plus I noticed that I have more energy and didn’t think about eating again for a few hours.If I need something to tie me over for a few hours, this is a great choice. See the difference? We have to get out of our heads and into our bodies. How do certain choices make you feel? Energized or sluggish. Satisfied or leftwanting more. Happy tummy or upset tummy. If we can let go of the idea o food being good or bad and tune in to the physical experience of eating it, we’llbe headed in the right direction! Have any personal experiences? Please share! *Disclaimer: I totally made those calorie numbers up.